It's about time I posted, especially something Christmasy huh? I've been busily working on all things Christmas- gifts, decor, tree, outside stuff and a big honking church party. Today I finally have my mantle ready to show. I kept things pretty simple this year. 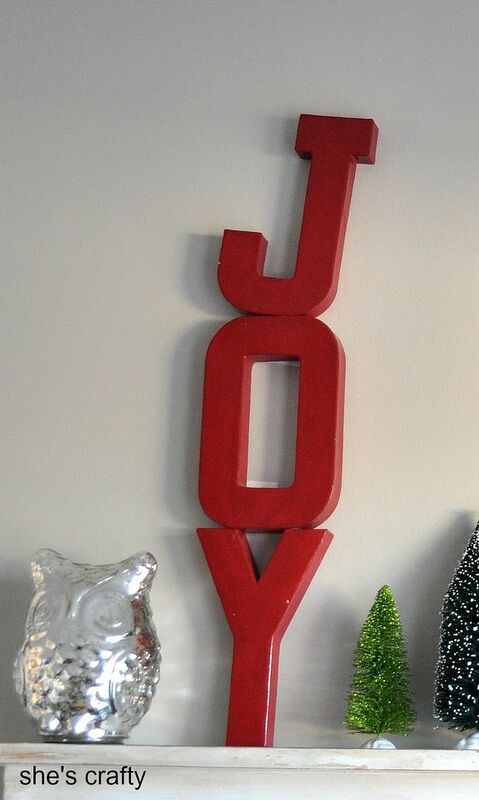 I used my fave mercury glass owl and the paper mache' letters I used in our mantle last year. I started a collection of bottle brush trees last year, but found a few more this year and grouped them all together. I'd like to tell you they are vintage and I've picked them up here and there. Um no... I bought them at Walmart. :) Whatever. I still love how they look all lined up! I included my glitter tree from last years mantle too. 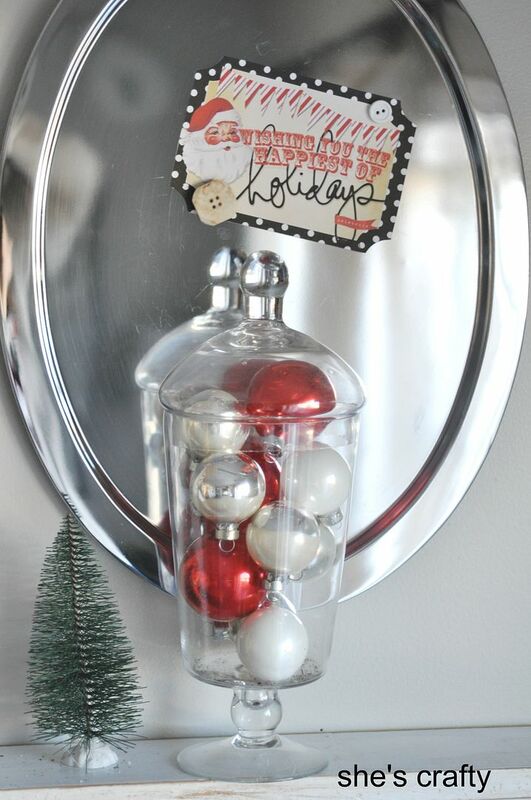 And of course I had to include some glass Christmas balls in an apothecary jar. I love them so much!! The Santa free printable is from Heidi Swapp. And there it is, my Christmas mantel for 2012!! This is awesome! I love love love all the different kinds of trees. I like when things are collected like that. This week I put together a snowflake garland from a collection of different snowflakes my kids made. So adorable! 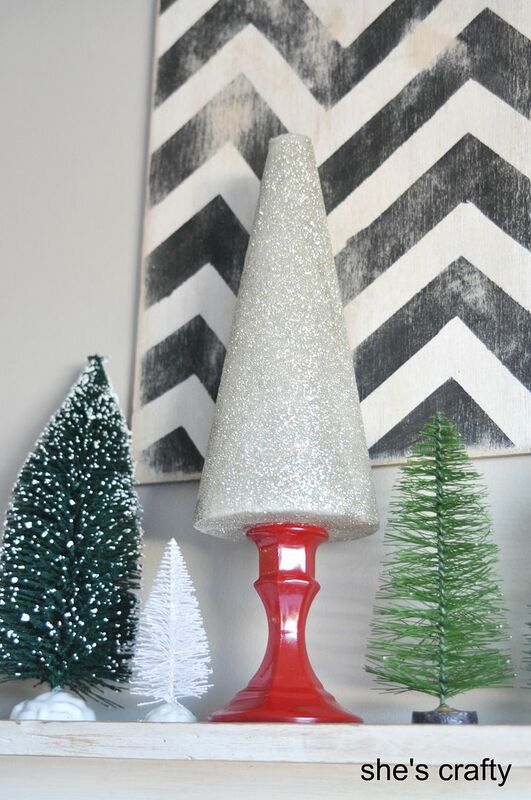 I love the look of the bottle brush trees, especially in front of that cute art! 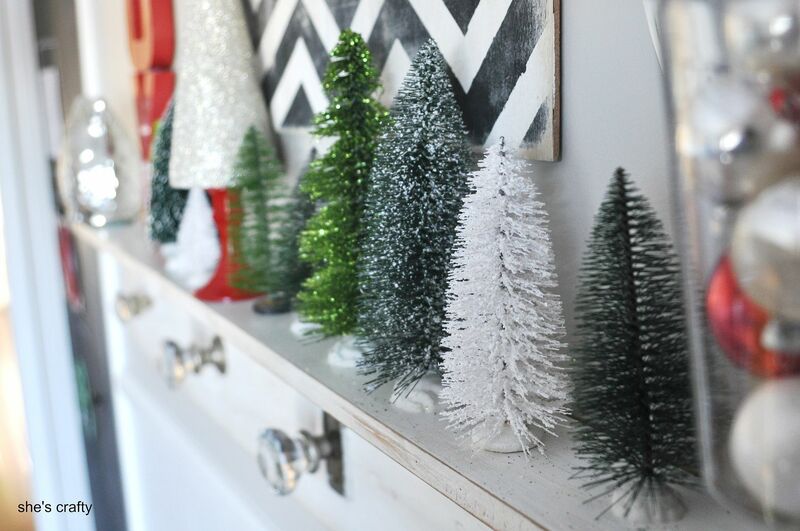 What a fun mantel. It looks wonderful! 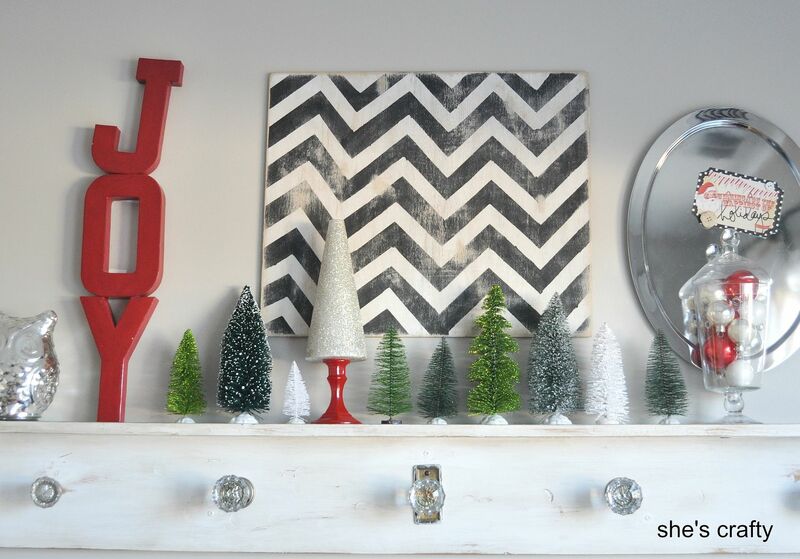 this is such a pretty mantle!! This is so fun! Adoring the chevron art! Love it! 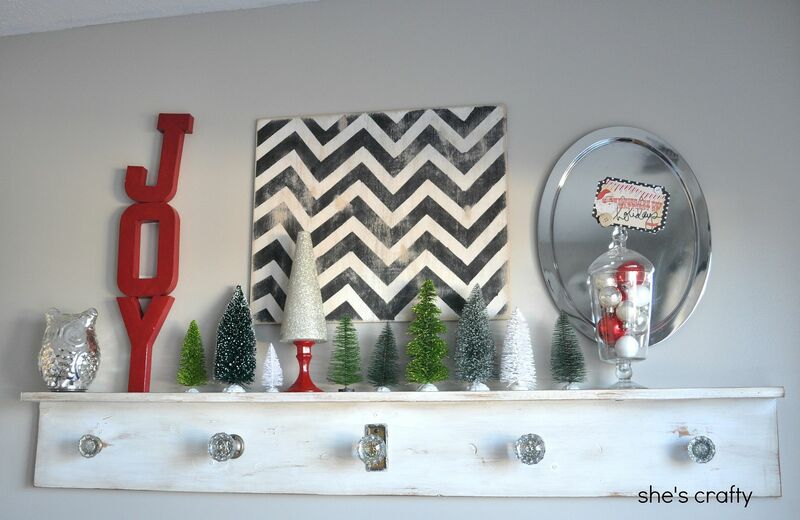 I did a bench with a distressed chevron too..love that with all the pops of red!